The 2014 Subaru Impreza is everything at once and is the bread-and-butter car in the Subaru lineup. It is right-sized for small families, fuel efficient, and has the ability to go nearly anywhere, no matter the weather. 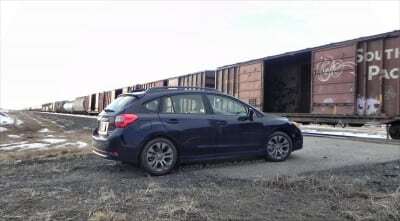 In this wagon format, it is the epitome of what most people think of when they think Subaru. 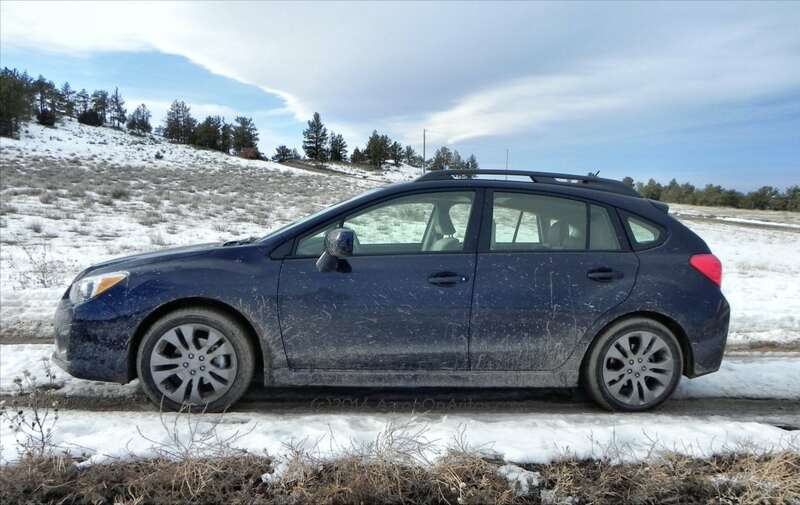 The 2014 Subaru Impreza Sport is just the right size for a small family on the move. It offers 36 mpg on the highway, signature Subaru all-wheel drive capability, and a solid drive for both everyday and the weekend getaway. In our 2.0i Sport Limited package, the Impreza was a nicely-rounded, well-fitted family goer. 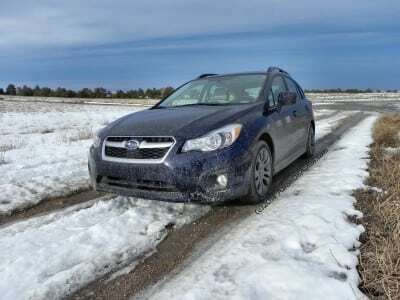 It excels at inclement weather and bad roads, but is adequate at most other tasks as well. The Subaru Impreza Sport is not going to turn heads in either its sedan or hatchback renditions. 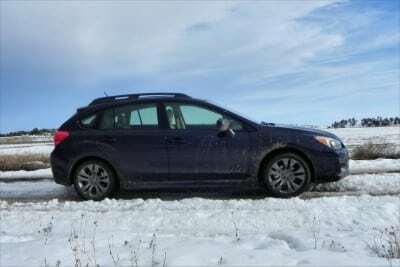 It’s the basic, ready-to-go model in Subaru’s lineup and although it’s not the prettiest car on the road, it’s definitely one of the most functional. The 2014 Subaru Impreza has a solid, sturdy appeal that most buyers in the market will enjoy and the hatchback option means an obvious family-ready machine despite its relatively small size and segment. Among small cars, the new Impreza is roomier and more versatile than many of its competitors. 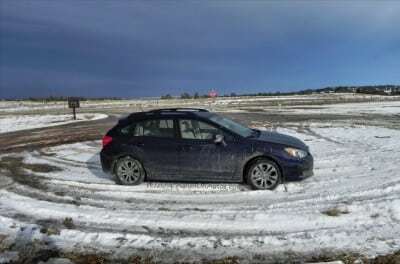 This model of the 2014 Subaru Impreza is the 2.0i Limited package, which comes powered by a 2.0-liter horizontally-opposed “Boxer” style engine. 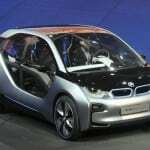 It’s a smooth-running power plant that few will have any beef with, though it is a bit sluggish compared to many of the more sporty engines being offered in the competition. That little four-cylinder engine is mated to a continuously variable transmission (CVT) that marks why Subaru has been a leader in the CVT game for some time. It’s a smooth, well-tuned, and nicely done automatic that doesn’t try to fool you into thinking it’s anything but good at its job. 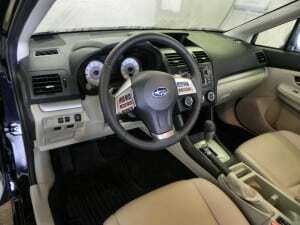 The interior of the Subaru Impreza hatchback is roomier than it has been in the past and has some well-considered ergonomics to keep it family-friendly. 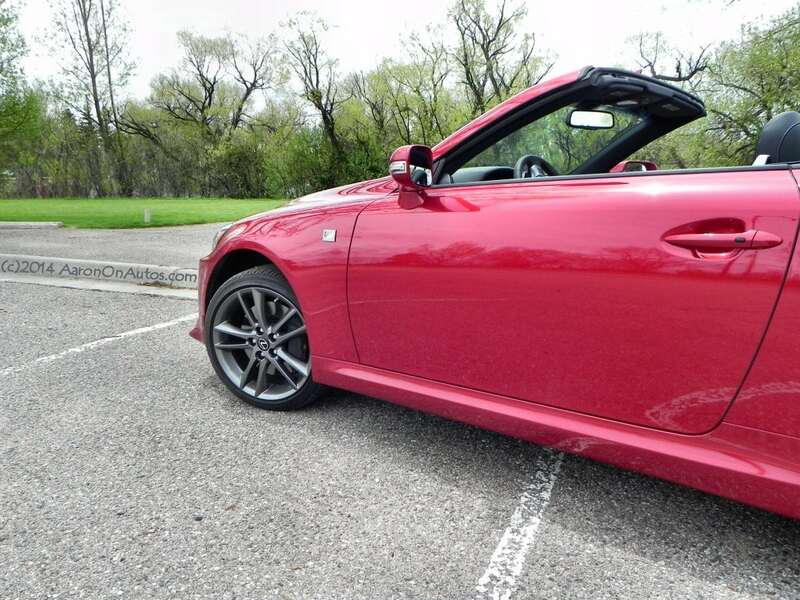 The doors open wide, the entries are tall, and the rear hatch and luggage area are well done. 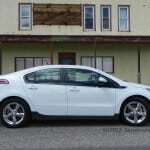 In our test drive, we had child safety seats, multiple adults, a day’s worth of gear and shopping at the warehouse club, and more in this car. The 2014 Impreza in this hatchback design continues Subaru’s legacy of being the most versatile and capable cars on the road. Subaru fans love the company’s vehicles for their capability as both family haulers and offroad movers as well as their excellent handling attributes in bad weather and questionable conditions. 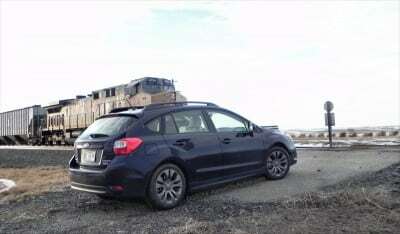 On the road, the 2014 Subaru Impreza 2.0i Limited won’t win any races or beat many of its competitors on the track. 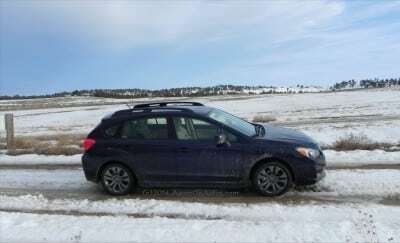 It will, however, do everything they can do with confidence and then adds in the off-road and any-weather capabilities that Subaru is legendary for. 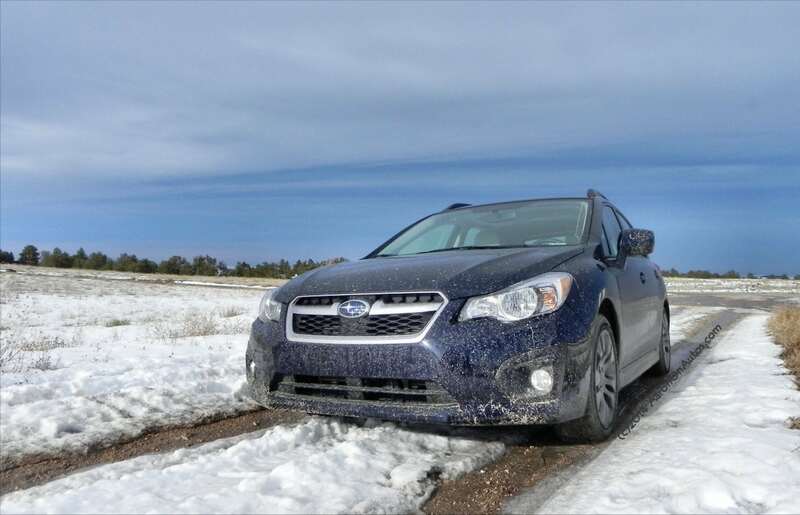 The AWD system in the Impreza continues its high confidence and performs very well. We made a forty mile trip in a horrible ice storm and had no worries that the Impreza was going to have problems. It’s stable and handles very well. 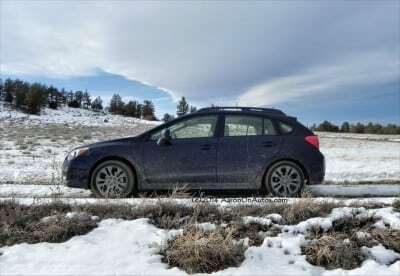 Subaru has upgraded the handling for this model year, giving the car a more contemporary feel on dry roads. 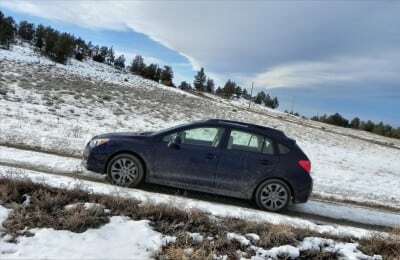 This is a good update and one that removes one of the chief complaints of buyers who skipped the Impreza wagon in the past. One thing to note, however, is that the 2014 Subaru Impreza does feel sluggish on the get-go and won’t win any ribbons for its fast freeway merges, but it’s good enough that most drivers will have no complaint. 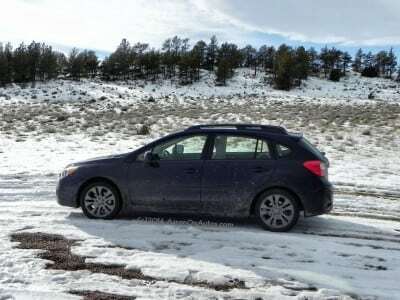 Real-world driving proved that even at high altitude (we are at 5,400 feet), the Impreza was capable of meeting its 30 mpg average, though we gained that by besting the highway MPG rating of 36 from the EPA while our city numbers were a bit lower than the window sticker will list. Key competition for the 2014 Impreza Sport are the Mazda3, Ford Focus, Honda Civic and Hyundai Elantra. 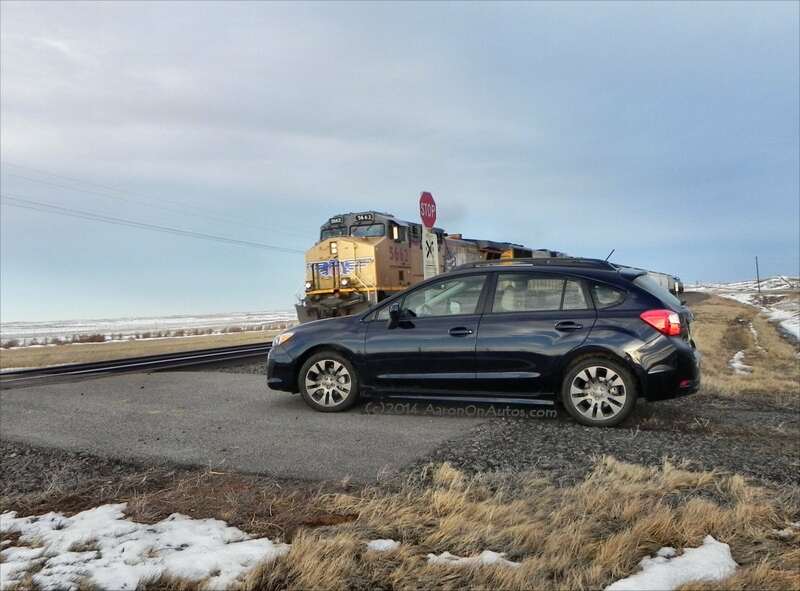 All of these boast better MPG than the Impreza, but none of them have the AWD competence of the Subaru. In terms of size and ergonomics, the Mazda3 hatch and Focus hatch are the Impreza’s strongest competition with the Ford having slightly more room. 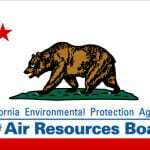 For those not needing the capability of AWD, however, some of the lower-priced competition may be a better fit. 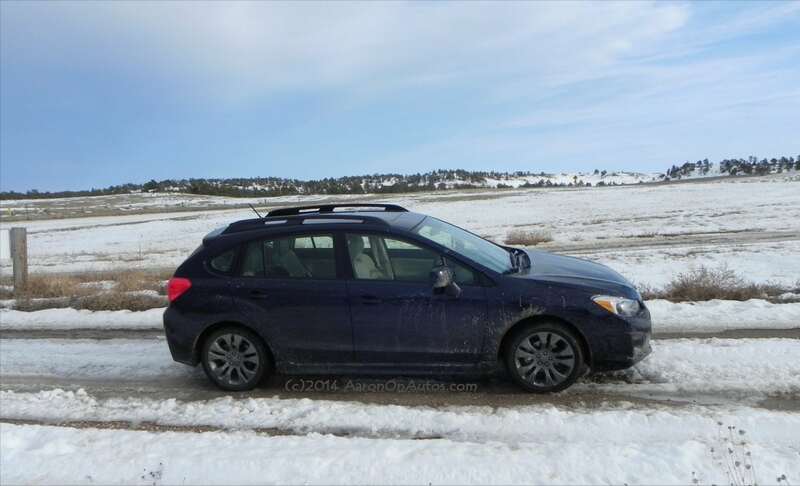 A great all-around vehicle that adds in excellent winter and light offroad capability to boot. Very family friendly and ergonomic, it’s a good fit for today’s on-the-go lifestyle. Sluggish and not very sporty to drive, despite the Sport title. Paddle shifting is next to useless with the excellent CVT. 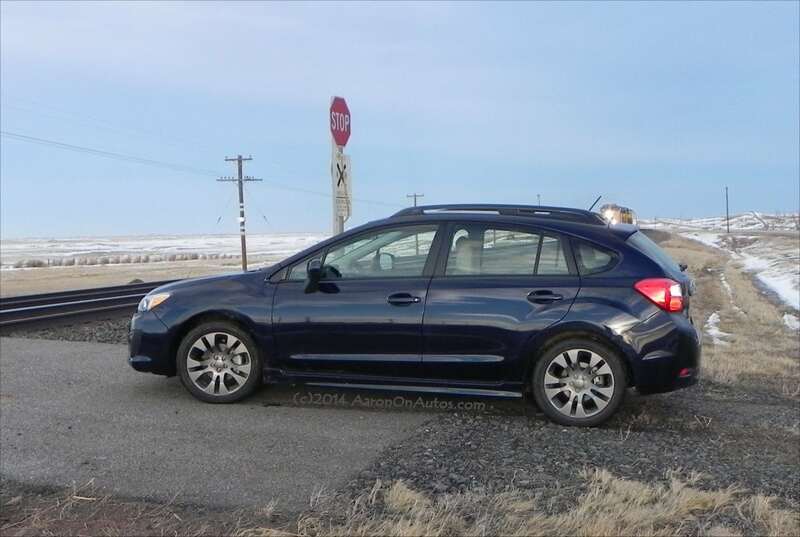 In all, the 2014 Subaru Impreza 2.0i Sport is a great vehicle for the small family living where things on the road get hairy quickly or where weekend getaways to parts unknown are common. The Impreza Sport is conducive to both on-the-go lifestyles of outdoor adventure and everyday family driving and kid-shuttling. The 2014 Subaru Impreza was a manufacturer’s press loan for about a week. 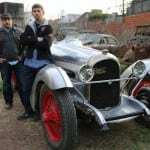 It was driven in both good and bad weather on paved and unpaved roads, including town, city, highway, and freeway. A total of about 412 miles were put on the vehicle in our test week.